Show your patients you care with Personalised Aftercare designed to increase satisfaction and minimise complications. Using AI technology, we individualise patient communication strategies to maximise the likelihood of engagement and success. Automatically send patients customised post-procedure health check-ins to monitor them after their procedure. 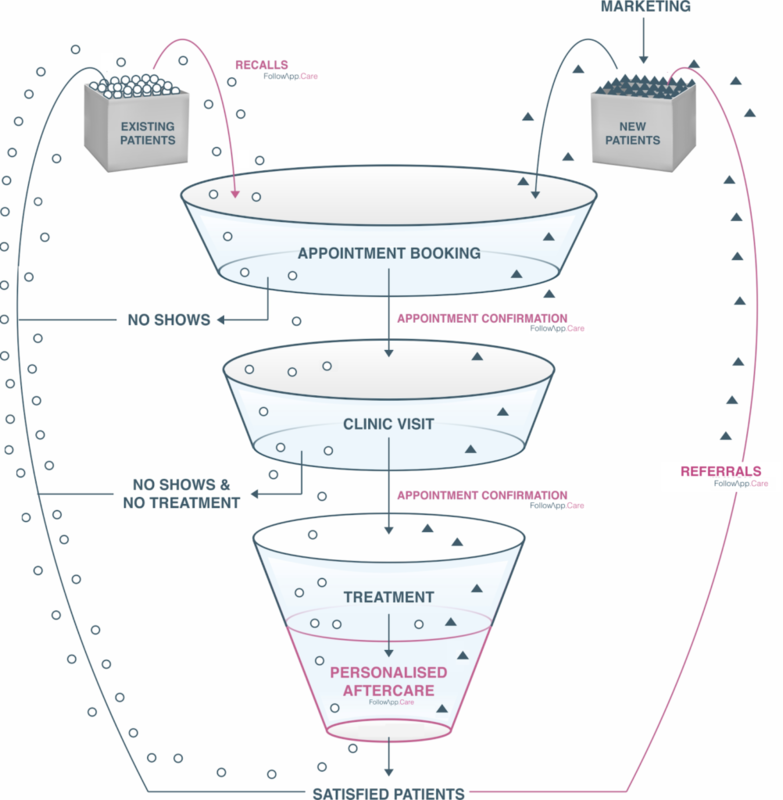 Optimise the operational efficiency of your practices by minimising no-show rates. We make it easy for your patients to let you know about their experience at your clinic. Patients want you to perform better each time, let us help you find out how. Personalised data-driven recalls bring your patients back to the clinic more frequently. Let's keep your patients informed, in charge of their health, and in your care. Would you like to learn more? Please let us know how we can help you!